Excellent customer service. It’s what differentiates the great, from the good. But in South Africa, great service is often sorely lacking. So when Mercedes-Benz Vans in Germany launched a new brand tagline – Born to Run – that guaranteed great service in record time, the South African team needed a simple idea to illustrate the exacting standards required to live up to this new brand promise. 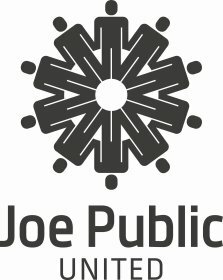 So Ignite Joe Public set every staff member one simple task: Reply to a customers email in record time. 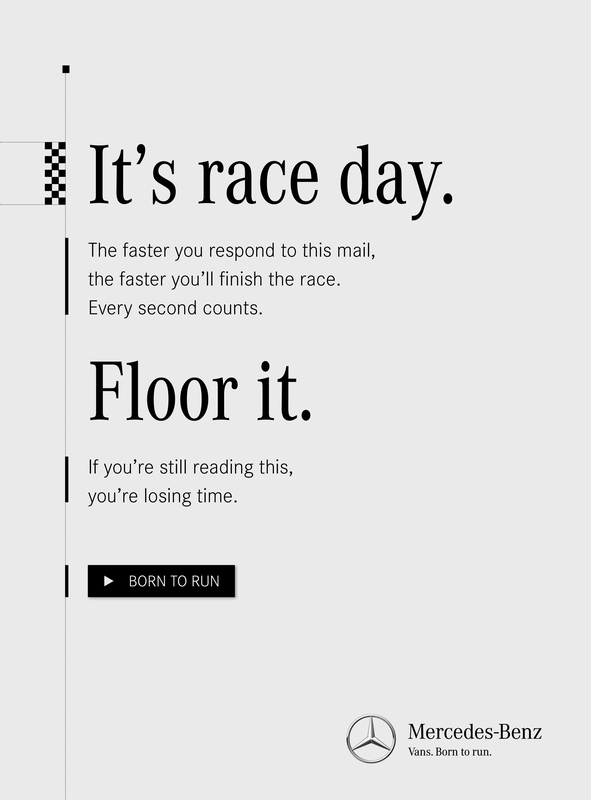 We called it the Born to Run Race, and it turned the Mercedes-Benz intranet into a racetrack, with over 600 ‘runners’ competing to set the record for fastest email reply. With limited edition Nike Born to Run sneakers up for grabs, staff were put on a weeklong Born to Run training programme designed to get them race ready, supported by internal mailers, intranet banners, posters, 3D displays and a finale event. Great service has no downtime, nor does it let obstacles stand in its way. It doesn’t keep office hours and it demands your sweat each and every day. As race day dawned 678 runners lined up behind their desktops. The customer’s email was sent, and we waited. In 1.2 seconds we received our first reply, in 7 seconds the last runner crossed the finish line. A new benchmark in customer service had been set, and Mercedes-Benz Vans South Africa had proved they were born to run! Ignite Joe Public create internal communications campaign for client Merc Vans.